Michael Corbett is the CIO and portfolio manager for all equity portfolios at Perritt Capital Management. Perritt Capital Management is one of the preeminent microcap fund managers over the last 20+ years. 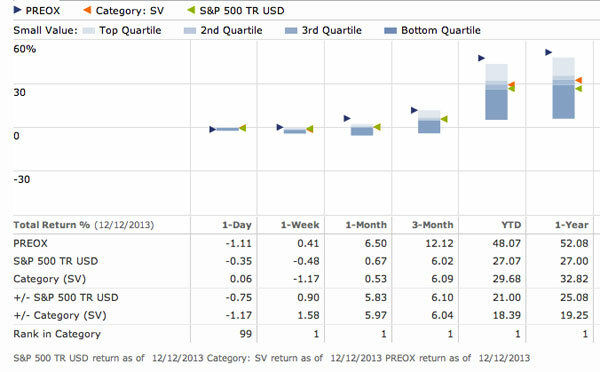 Michael manages two microcap funds, the Perritt Opportunities Fund (PRCGX) and the Perritt Ultra MicroCap Fund (PREOX). The Ultra MicroCap Fund has the lowest average market cap of any fund rated by Morningstar, $78 million, and is also the top performing fund in its category over the last 12 months (+52%). We first interviewed Michael 18 months ago, so our membership came up with a few more questions for round two.